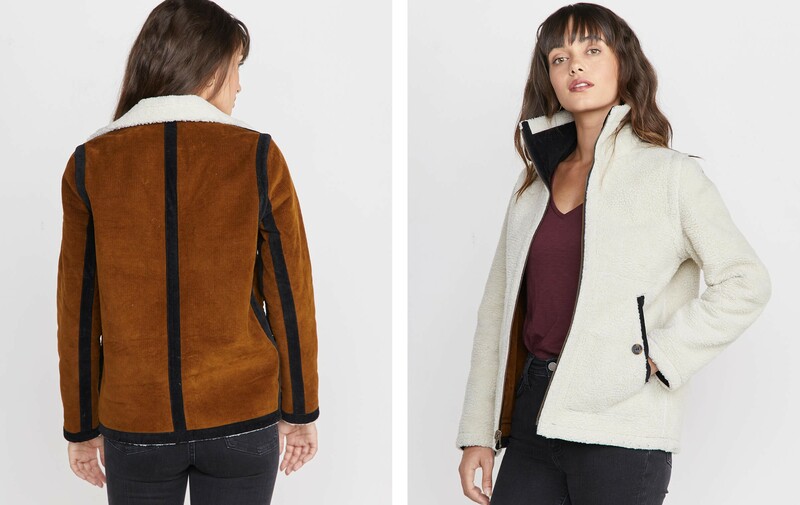 Based on a jacket we found that was insanely expensive, we recreated it and make it a little more… accessible. 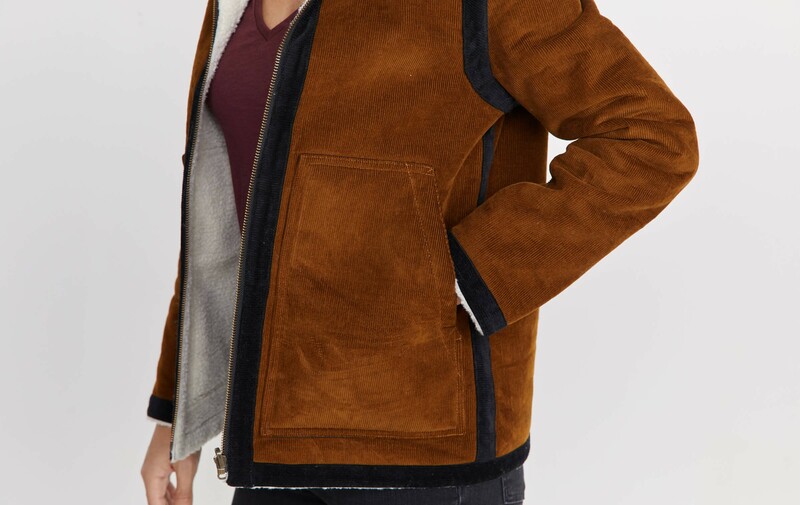 Then we took it up a notch and made it reversible: contrasting cord on one side, vegan sherpa on the inside. Nails the mountain-chic luxurious look. Nothing says “Oh what, my castle in Norway?” more than this jacket. Inspired by a vintage sample, we custom-developed this insanely unique and reversible fabric. 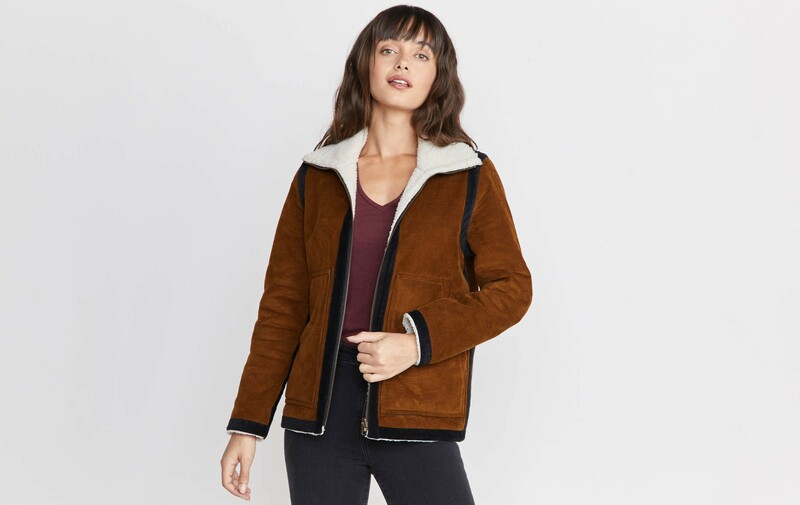 We bonded 100% polyester sherpa to our 14-whale cotton corduroy. Switch it up depending on how you roll.